Ludwig Boltzmann was an Austrian physicist whose efforts radically changed several branches of physics. He is mostly noted for his role in the development of statistical mechanics and the statistical explanation of the second law of thermodynamics. Born in Vienna on February 20, 1844, Ludwig Eduard Boltzmann’s father, Ludwig Georg Boltzmann, was a tax official. He was the eldest of three children and his mother, Katharina Pauernfeind, was from a wealthy family. Ludwig was initially educated by a private tutor and he then attended the local gymnasium in Linz where he showed great aptitude in mathematics and science. Ludwig learnt to play the piano and played throughout his life. His father died when he was just fifteen. 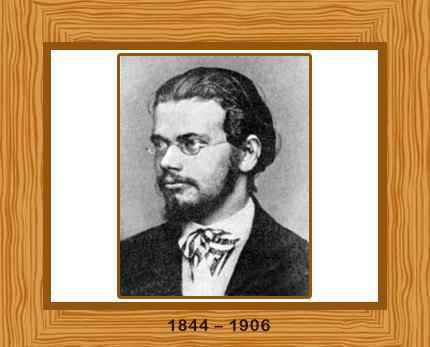 At the age of 19 Ludwig Boltzmann enrolled at the University of Vienna, studying mathematics and physics. He earned his PhD degree three years later in 1866. Ludwig Boltzmann taught mathematics, experimental physics and theoretical physics at several universities, but theoretical physics was his main passion. He wrote his famous travelogue “Reise eines deutschen Professors ins Eldorado” (Journey of a German professor to the Eldorado) during this time. He obtained his first professorship in 1869 as professor of mathematical physics at the University of Graz, moving to the University of Vienna as professor of mathematics in 1873. In 1876 Boltzmann returned to Graz to take up the chair of experimental physics and the same year he married mathematics teacher Henriette von Aigentler. They had three daughters and two sons. Boltzmann appointed to the Chair of Theoretical Physics at the University of Munich in Bavaria in 1890, returning to the University of Vienna as Professor of Theoretical Physics in 1894. Apart from a short spell at the University of Leipzig from 1900 to 1902, Boltzmann returned to Vienna to teach physics and natural philosophy until his death. Boltzmann’s scientific approach was to attack the problem. He explained the second law of thermodynamics in the early 1870s on the basis of the atomic theory of matter. The Second Law of Thermodynamics states that the state of entropy of the entire universe, as an isolated system, will always increase over time. The second law also states that the changes in the entropy in the universe can never be negative. He demonstrated that the second law could be interpreted by blending the laws of mechanics, applied to the motions of the atoms, with the theory of probability. He clarified that the second law is an essentially statistical law. He formulated most of the structure of statistical mechanics, which was later researched by the mathematical physicist Josiah Willard Gibbs. In addition to his contributions to statistical mechanics, Boltzmann made detailed calculations in the kinetic theory of gases. He was one of the first people to understand the significance of James Clerk Maxwell‘s theory of electromagnetism, on which he wrote a two-volume treatise. Boltzmann also worked on a derivation for black-body radiation based on the Stefan’s law, which was later termed by Hendrik Antoon Lorentz as “a true pearl of theoretical physics”. His work in statistical mechanics was vocally criticized by Wilhelm Ostwald and the energeticists who disregarded atoms and based physical science exclusively on energy conditions. They were unable to understand the statistical nature of Boltzmann’s logic. His ideas were supported by the later discoveries in atomic physics in the early 1900, for instance Brownian motion, which can only be explained by statistical mechanics. Ludwig Boltzmann was greatly demoralized due to the harsh criticism of his work. He committed suicide on September 5, 1906 at Duino, Italy by hanging himself. He was 62 years old.